This Nations League campaign has seen some unexpected results, with certain astute underdogs looking determined to prove their critics wrong. Whilst some results may seem like an anomaly, others look to have paved the path to progression for unlikely candidates. 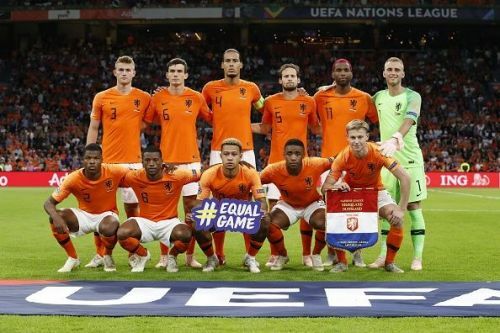 In this slideshow, we will take a look at teams from various league in the UEFA Nations League competition to see who may provide neutral football fans with an entertainment extravaganza, whilst reviewing which of the group favourites' fans may find themselves mourning over unexpected defeats. In League A, we have the Netherlands, who are pitted against 2014 World Cup winners Germany and the reigning World Cup champions France in a hotly-contested group of death. League B sees an incredibly tight group consisting of Russia and their similarly ranked opponent Turkey, along with fellow World Cup Quarter Finalists and 15th ranked Sweden. Both Russia, the host nation, and Sweden overcame the odds in the World Cup round of 16 to defeat the likes of Spain and Switzerland respectively. League C's Group 1 consists of a rather imbalanced looking selection of teams, with 94th ranked Israel being pitted against Scotland and Albania, both of whom place more than 30 spots above them in the World Rankings. This means very little in the game of football, however, as we have seen how sometimes even the best sides can be upset by an unlikely adversary. Finally, we have League C's Group 4, which consists of Serbia, who recently returned from a disappointing group stage exit in the World Cup this summer, alongside Romania, Montenegro and a vulnerable-looking Lithuania. Whilst Serbia and Romania look to have the best chances to progress, one cannot rule out a determined Montenegrin side. Whilst a struggling Dutch side fought hard to secure an equaliser after spending much of their first group match defending against a dominant France, they narrowly lost out in a 2-1 defeat thanks to a classic Giroud volley. The Netherlands did, however, subsequently manage to reap the rewards of first-class defending and rapid-paced counter attacks in a 3-0 thumping of Germany at the Johan Cruyff Arena. Even with fewer shots and less ball possession, the Dutch were opportunistic enough to secure the three points with a header from captain Virgil Van Dijk arising from a first-half corner, along with late second-half goals by Memphis Depay and Georginio Wijnaldum. This display showcased the Oranje's calm match temperament and opportunism that they will hope to use in their next match against France at home, where they will have the chance to unseat the world champions as group leaders in the race to the semi-final spot.